I am seeing more and more articles and discussions linking the gig economy and portfolio careers. There is no doubt that some people do indeed utilise gig work to help them constuct a portfolio career for themselves. 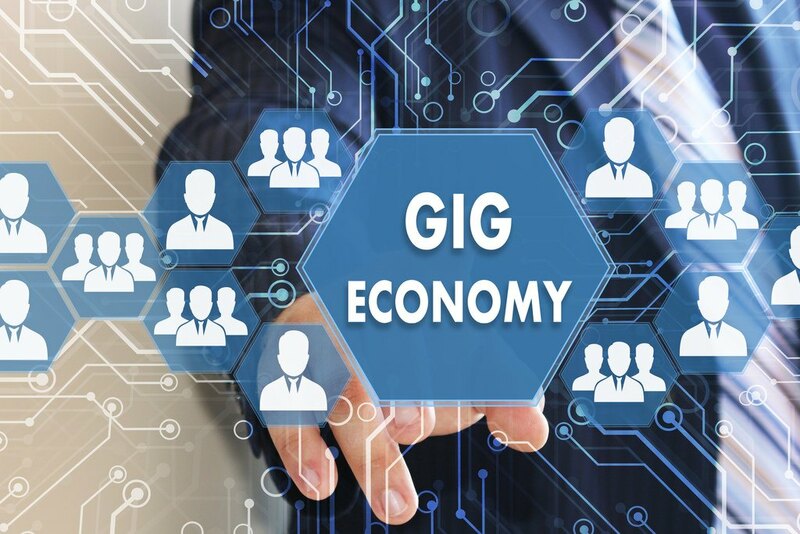 An excellent article by Katie Kuehner-Hebert explores the increasing attractiveness to age groups from millenials to boomers of gig work. She quotes from a survey of 9,500 people in 12 countries that found that more than 80 percent of workers say part-time, freelance, contract, temporary or independent contract work is a choice, not a last resort, and builds resilience for less predictable futures. 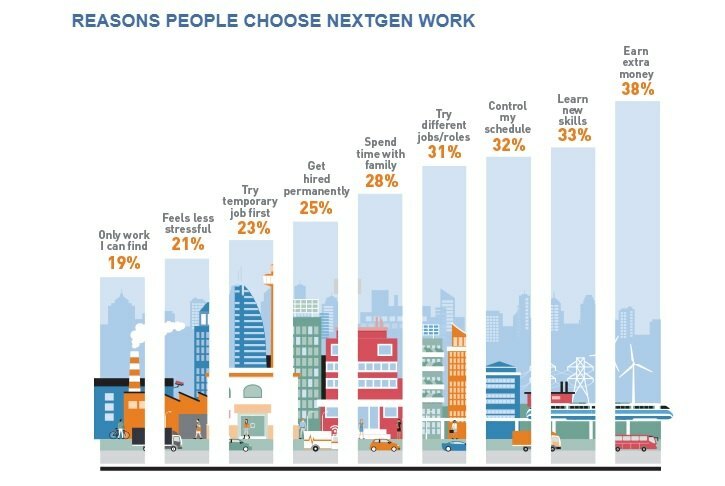 Manpower Group give the title of Nextgen Work to the variety of career paths and job options now available to people of all ages but especially millenials who have not experienced the more closed models of work dominant in the 20th century. Look at what their research found when people were asked why they were interested in gig or related work. I find it fascinating that when Katie and I did the research for our Porfolio Careers book that what looked like a major new career option for people has now become one of many career options as people increasingly are designig portfolio lives for themselves and many of those plans are short term as they want to be open to new opportunities throughout their lives. Financial experts of course keep criticising them for not planning for retirement wheras they are committed to living a life they desire ‘now’ and not waiting until they are 65+ to get that. Problems ahead for them? Possibly but then who knows what life will look like 40 years from now. Previous post: And now it’s portfolio careers for pharmacists! Next post: And now its the Vets …..